Learn a vocabulary of 700 words, 120 grammar points and sentence structures, 800commonly-used sentences and topics such as talking about weather, talking about an on-going action, talking about one’s habits, talking about the living environment, posting letters and parcels, and collecting a parcel, exchanging, depositing and withdrawing money, shopping, seeing a doctor, going to hospital, recreational activities, talking about a past action or event and etc. 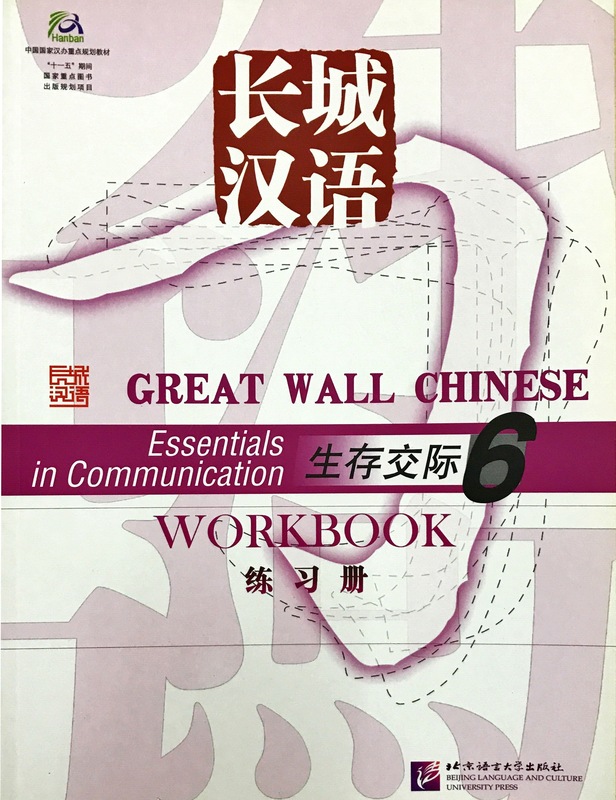 For your information, this workbook is the part of Great Wall Chinese series, a key project developed and operated by the Office of Chinese Language Council International (Han Ban). It is a new Chinese teaching and learning system based on latest internet, multimedia technology as well as complete text book and workbook. The goal is to expand a learner’s Chinese communicative competence by utilizing rich teaching materials and resources. Currently, more than 330 Confucius Institutes (classes) internationally and 17 China's universities and middle schools are using Great Wall Chinese as Chinese teaching materials. Great Wall Chinese is a set of complete, systematic and international Chinese teaching resource. The teaching stages are divided into three phases: Essentials in Communication (Level 1 ~ 6), Progression in Communication (Level 7 ~ 12) and Fluency in Communication (Level 13 ~ 18). The courses of Great Wall Chinese include core courses (communicative mission), resource courses (language elements) and complementary courses (skills training). The GWC system integrates learning, teaching, academic research and administration to all learners and tutors. • Computerized Learning Management System to improve the entire teaching and learning progress.